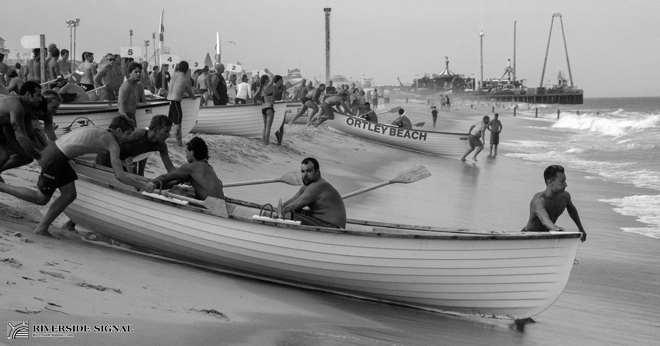 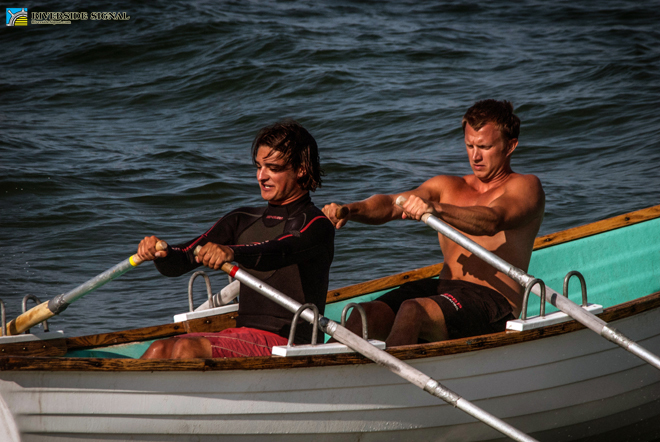 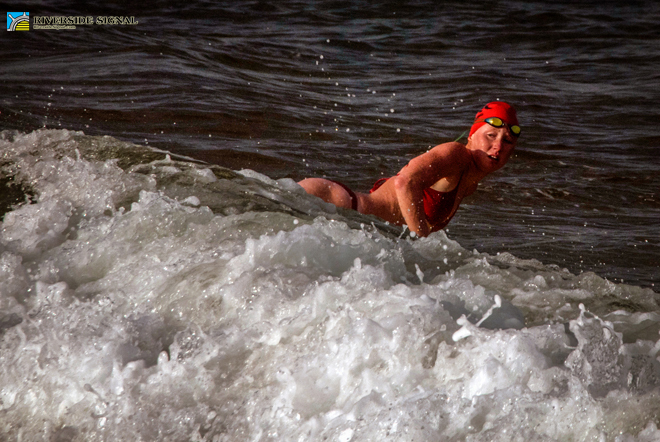 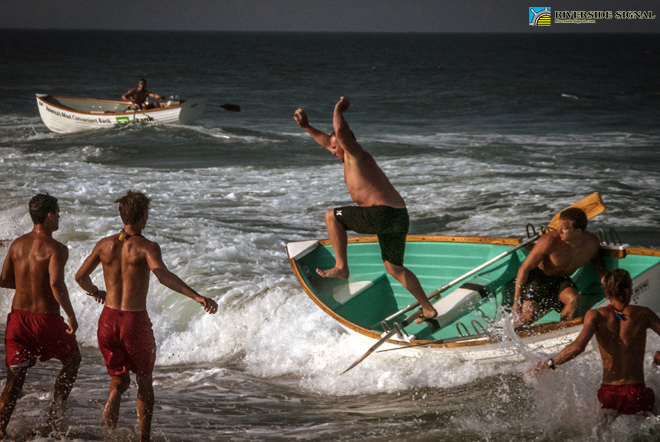 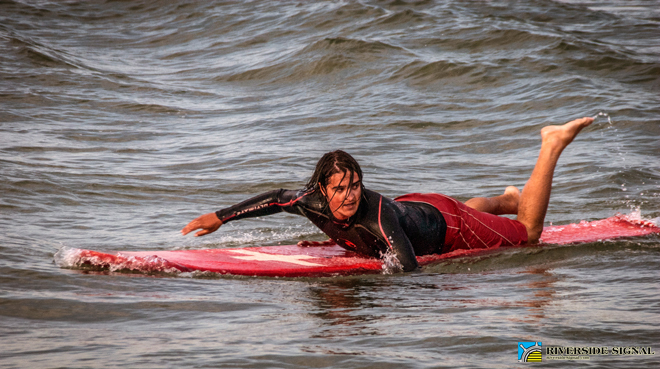 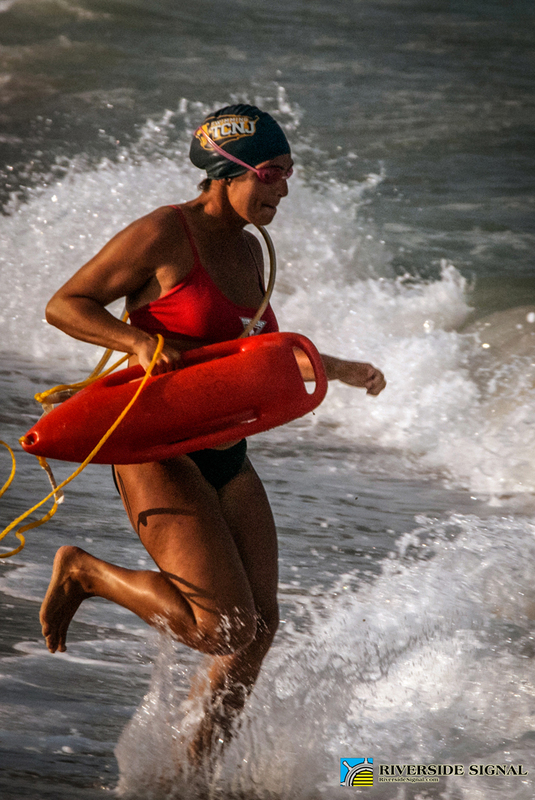 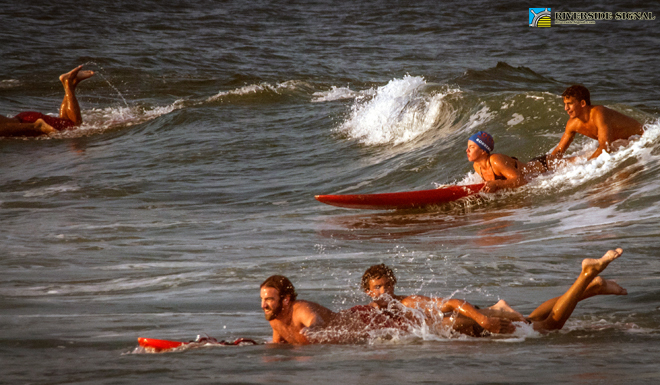 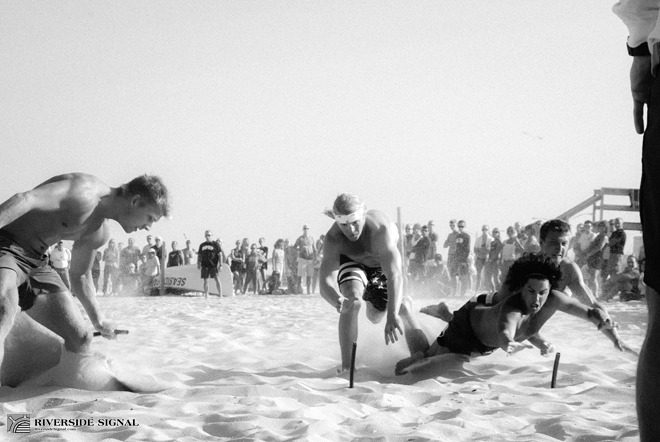 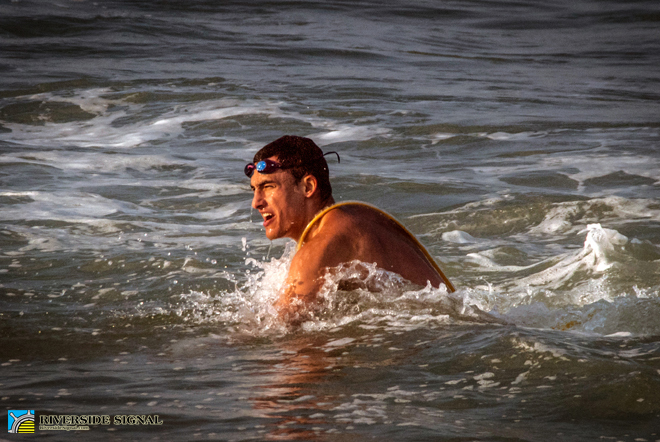 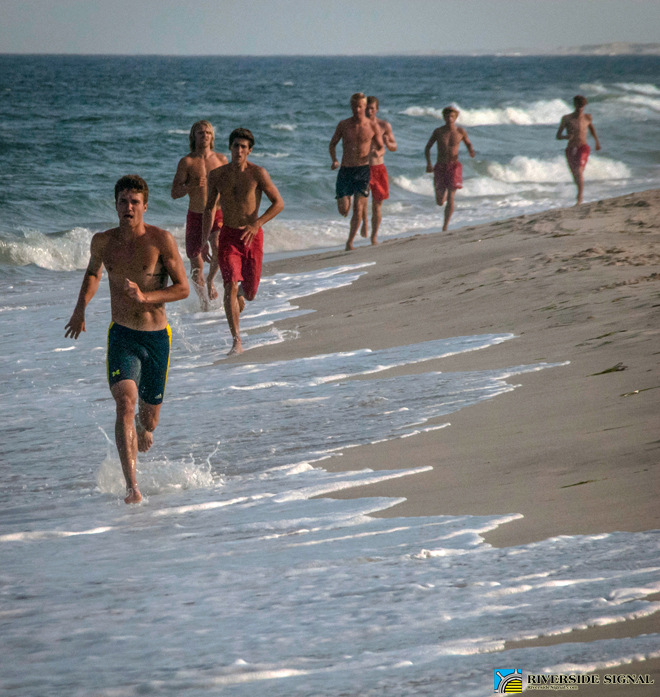 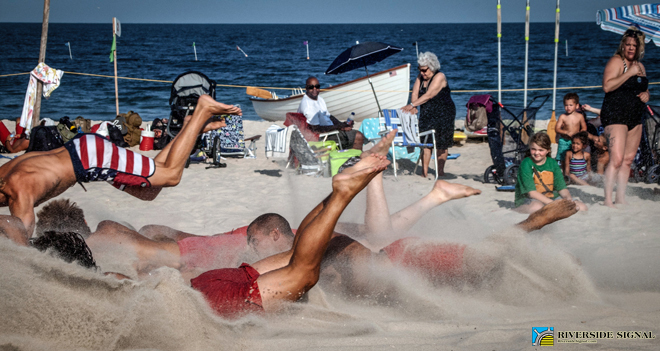 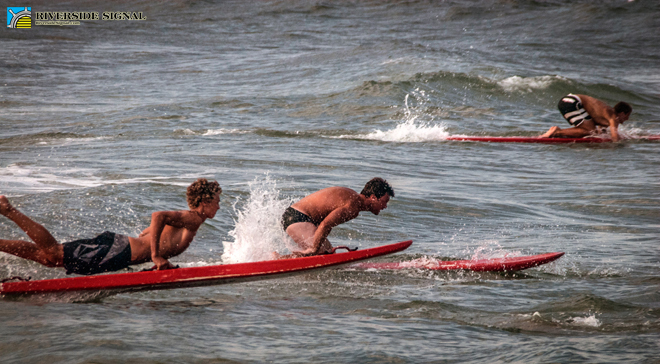 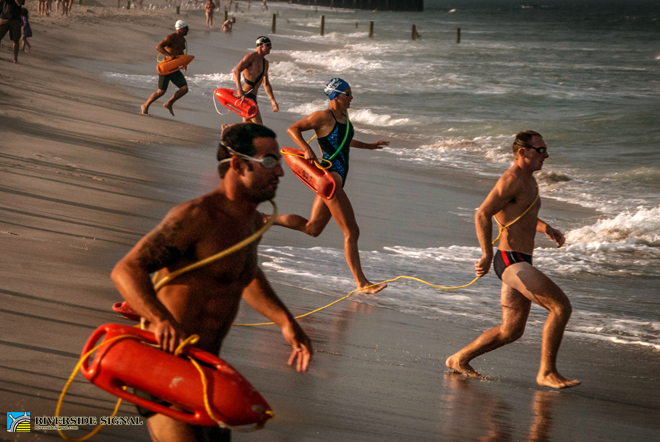 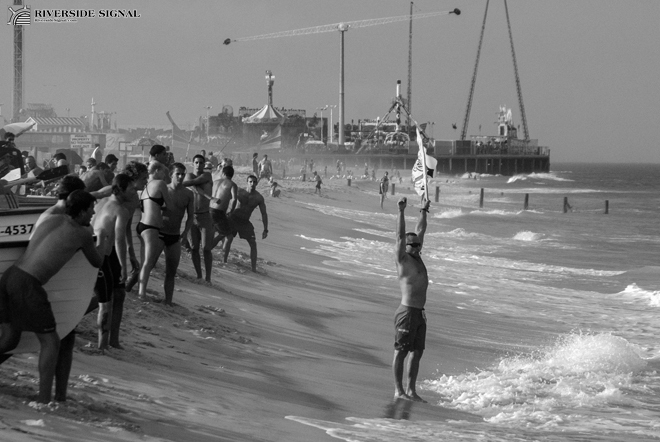 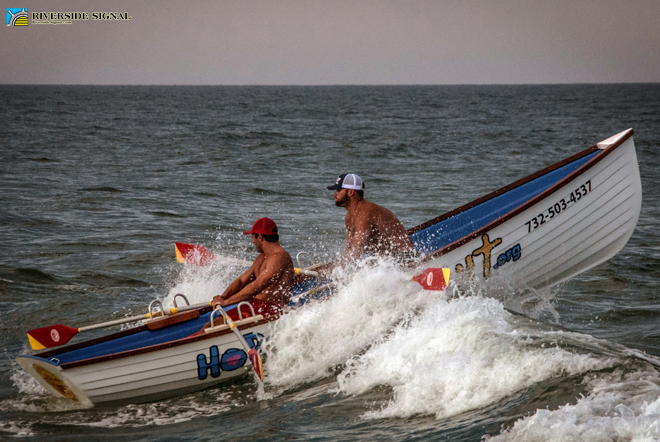 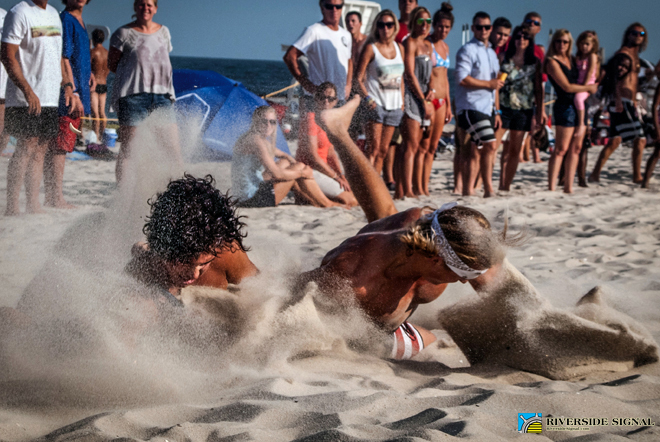 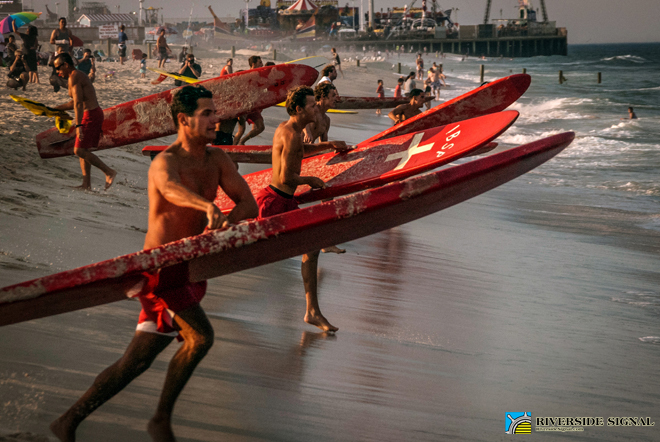 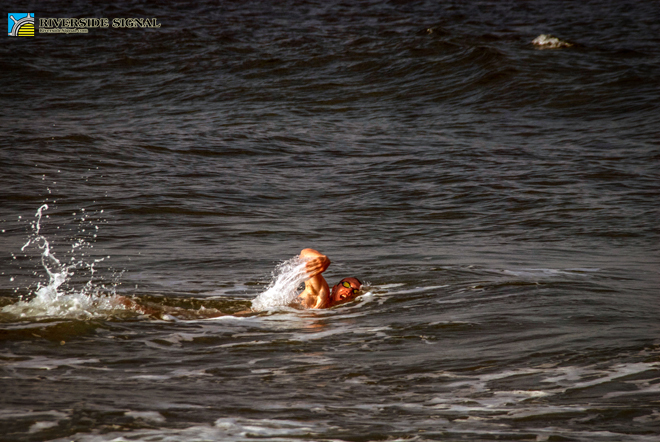 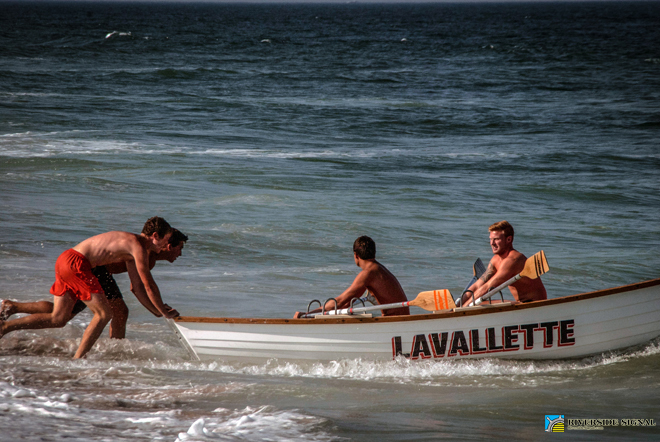 The following photo essay, originally headlined “In Photos: Seaside Park Lifeguard Tournament 2015” when published in July 2015, captured the elements of speed and grace in lifeguarding training when posted for the widespread public to enjoy. 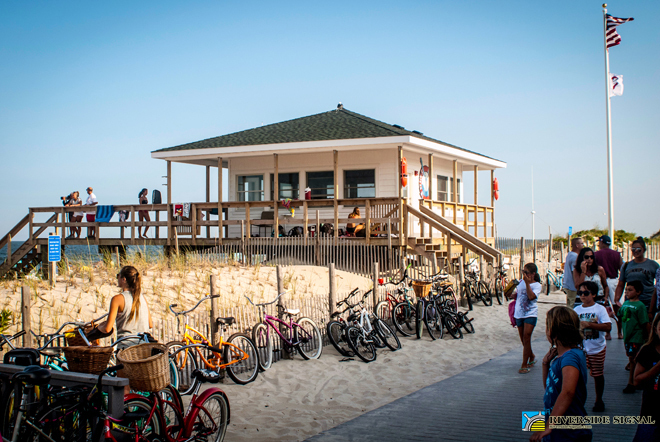 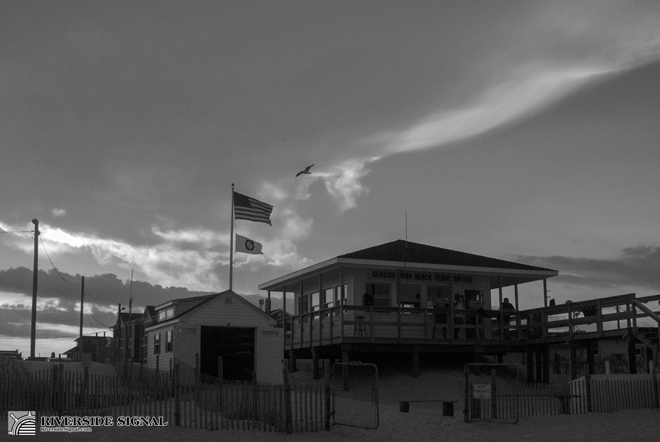 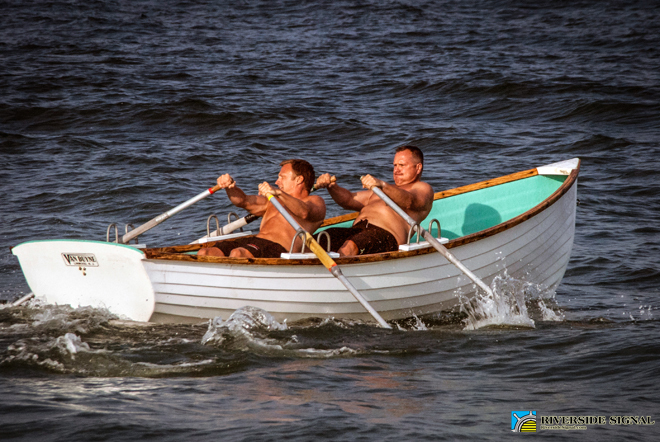 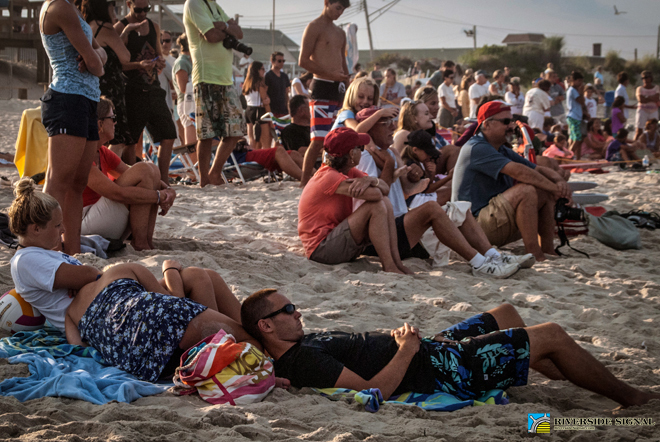 SEASIDE PARK – Yesterday evening there gathered a crowd along the N Street beachfront here to cheer on local teams of lifeguarding men and women as they ran, swam, rowed, surfed and pushed their way to be named top ocean rescue squad of our shores. 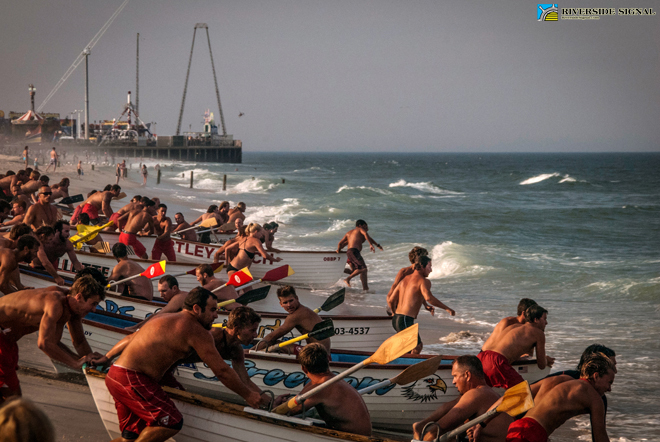 Starting with dash-and-grab tests from the resting position for short rubber batons dug into sand up beach, the events carried through a run, swim, paddle and row medley, into boat relays and onto more variations of the seashore theme. 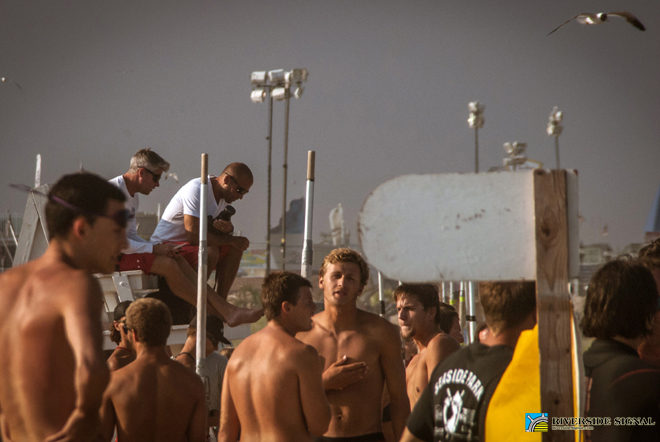 Lifeguards were counted of all ages, from veterans whose off-season vocations make available the summertime for cherished positions in the sun and surf to the excited newcomers ready to make their new team proud. 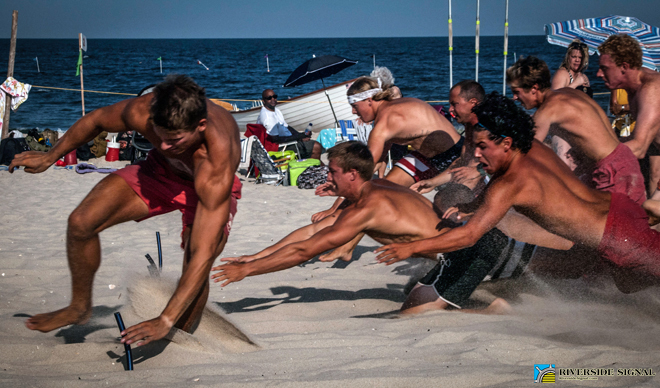 In the end Ortley Beach won the day, followed by Ship Bottom, Seaside Park and Lavallette.